Not only are casseroles one of the most adaptable and amazingly yummy American dinner staples; but casseroles are by their very definition cooked slowly over a long period of time, making them the ultimate mate for your slow cooker! These delectable hot pots have been delighting home-chefs for generations, as their humble ingredients are quick and simple to prepare and require minimal preparation before leaving to stew away to perfection! These six delicious casserole recipes are as easy and delicious as it gets! Pasta is undoubtedly one of the most comforting foods available to us, and this brilliant recipe for Ravioli Casserole from Flavorite is no exception. This colorful recipe calls for the delicious ingredients of a hearty ravioli while opting for playful bowtie pasta (a fantastic choice for the little ones!). This wonderful recipe for Chicken Stuffing Casserole from Recipes That Crock is the ideal dinner to prepare for a rainy night in with the family. This dish is wholesome enough to eat as a main course and works brilliantly with a side of roasted vegetables (we recommend roasting green beans and carrots with minced garlic and olive oil in an oven set to 350° for 30 minutes). Finger-licking good! For those of us that love a sweet fix as a side to our dinners, this stunning Sweet Potato Casserole recipe from Chelsea’s Messy Apron is the perfect sweet side for a roast chicken dinner. 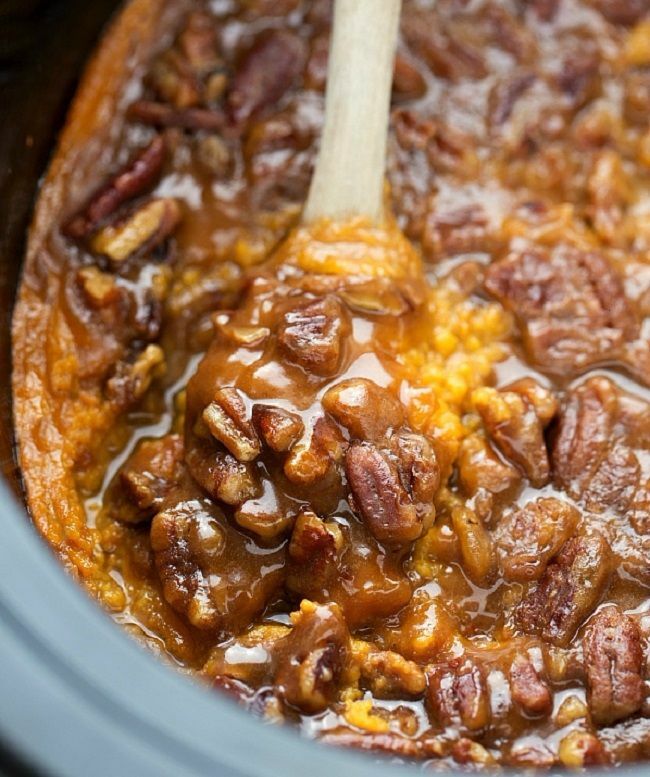 Sweet potatoes, pecans and orange juice add a whimsical twist on this Thanksgiving classic, adding a brightness that perfectly adapts it for the summer season! This cowboy casserole is good for anyone - including any of you city folk reading this. In fact, you might love it so much it could become a household favorite. Like any casserole it's got warm, gooey, goodness and it's packed with flavors that remind us of home. 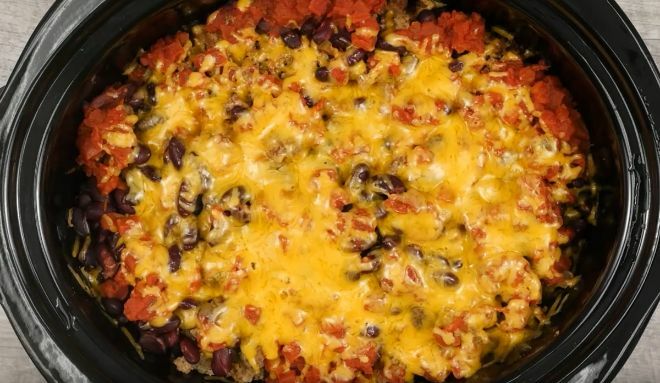 This cowboy casserole is filled with beef, onions, beans, tomatoes, and topped in melty cheese. 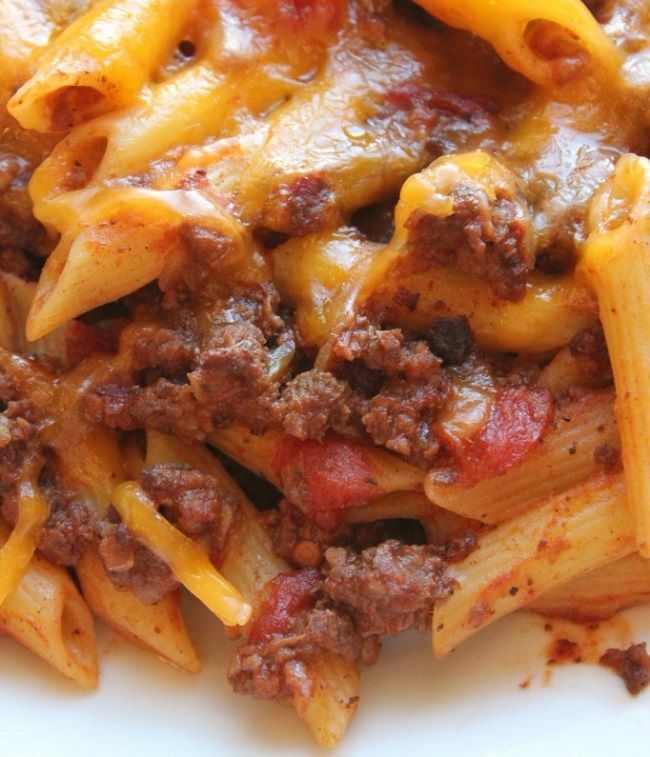 Whether you call it a pasta bake, American chop suey, baked ziti, or one of its various regional nicknames; a deliciously meaty pasta casserole is an often unbeatable dinner! 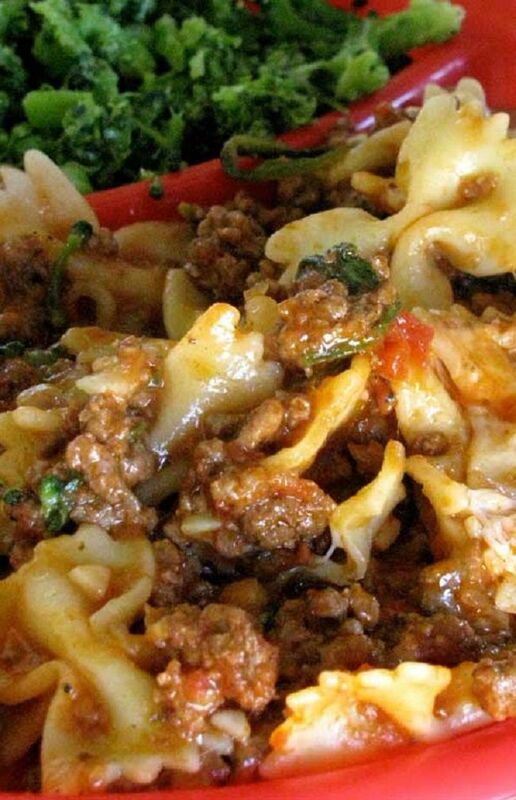 All of the flavors of a fantastic lasagna combined with only half of the traditional prep time makes this recipe for Cheesy Pasta and Beef Casserole from Tammi Lee Tips a true stand-out on the dinner table. 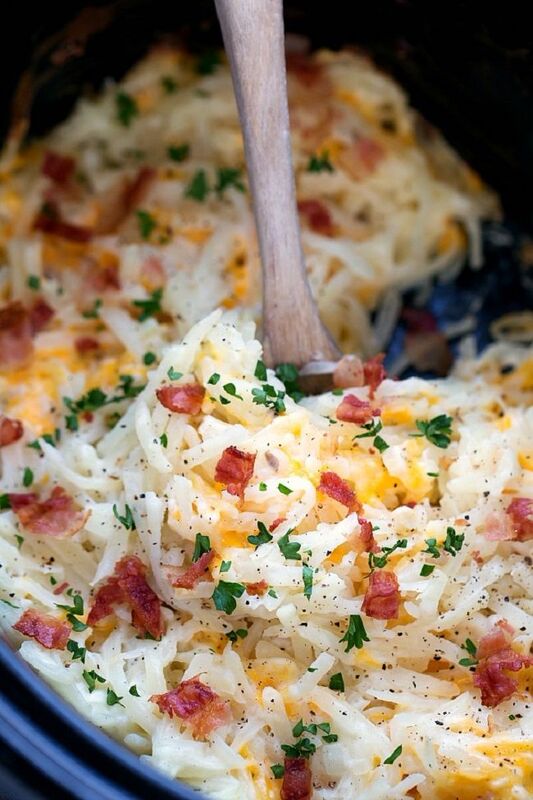 For a fun take on a fabulous potato dish, why not have a go at this fabulous Hashbrown Casserole recipe from Chelsea’s Messy Apron. So incredibly simple, this wonderful slow cooker dish requires minimal ingredients to create a perfect companion to any meaty feast! 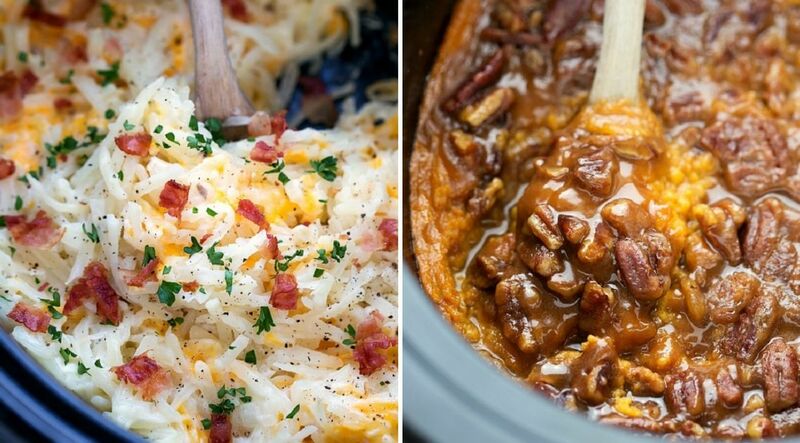 Try these 6 delicious slow cooker casseroles and be sure to SHARE them with your friends! Equipped with these fabulous recipes, your pork chops will always come up juicy and delicious. These recipes will prove that you can do a lot with potatoes.